1. The Trainer are compatible with the new guidelines from AHA2015 scenarios & operations. 2. The AED trainer is designed to prepare emergency responders to use the real clinical AED. to help responders become familiar with the AED and allow them to demonstrate the basic skills neccessary to use the AED in an emergency. 4. Provides simulated shock delivery.It has no high-voltage capabilities,ensuring safety during training. 6. Language cards can be purchased separately. The AED trainer is designed to prepare emergency responders to use the real clinical AED. 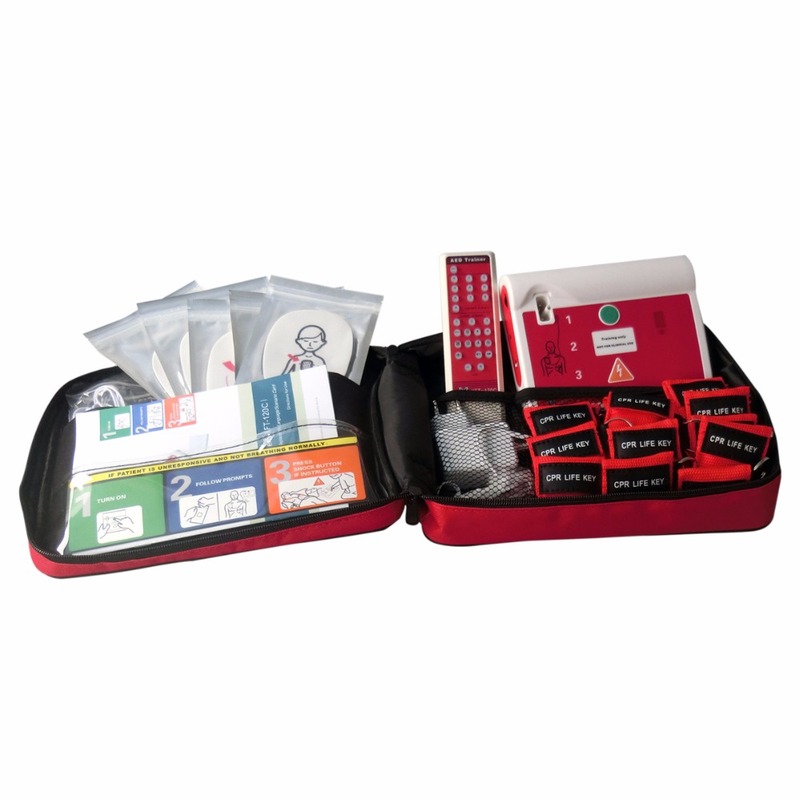 Before using the real clinical AED, the responder should have completed an appropriate responder training program, which may include the use of the AED Trainer. Cardiopulmonary resuscitation(CPR);and knowledge of applicable medical protocols and procedures. Zippered, nylon-lined, fabric carrying case with handle.